Happy new year! January is a great month to be in London as it’s never too cold here to get out and about. Grab your gloves and head out to see the city while it’s generally less crowded than December but just as enjoyable. If you’re ready to welcome the new year head to Bankside, outside the Shakespeare’s Globe, on Sunday 3 January 2016 at 2pm for the Twelfth Night celebrations. 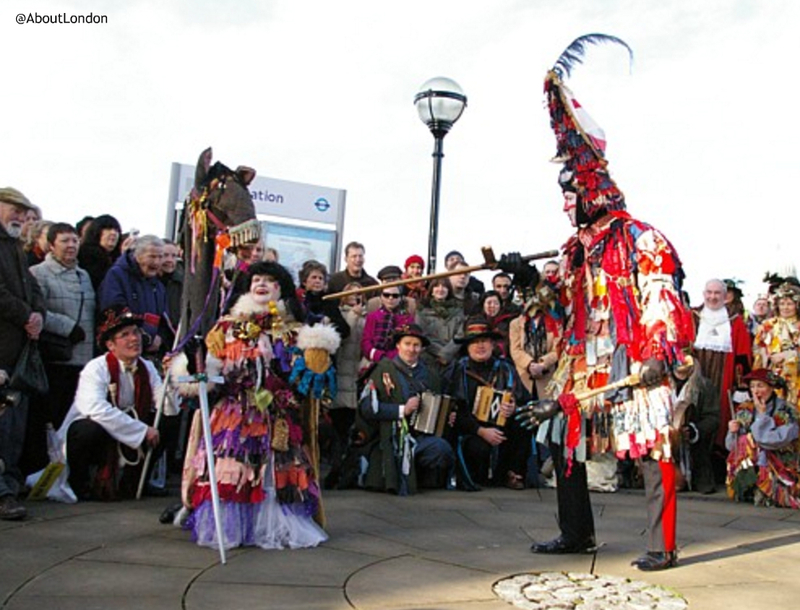 It’s a free annual event that mixes ancient Midwinter seasonal customs and contemporary festivity. The Holly Man arrives by boat on the River Thames and then there’s a Mummers’ Play put on by the excellent actors of The Lion’s Part who arrange this every year. Cakes are given out at the end of the play but bite in carefully as hidden in two cakes is a bean and a pea. If you have one of those cakes you are hailed King and Queen for the day and get a crown before leading the procession to the historic George Inn in Borough High Street to warm up with storytelling, the Kissing Wishing Tree and more dancing. This event is really recommended and happens whatever the weather. Here are some photos I took a few years ago. From 14 to 17 January 2016, Lumiere London will illuminate the capital. This is London’s biggest-ever light festival, and includes works by a host of international artists. Iconic architecture will be transformed with 3D projections, plus interactive installations and other extraordinary light works. The areas to explore are the West End and King’s Cross, centered on Granary Square. If you need a choice now to warm you up this is perfect. 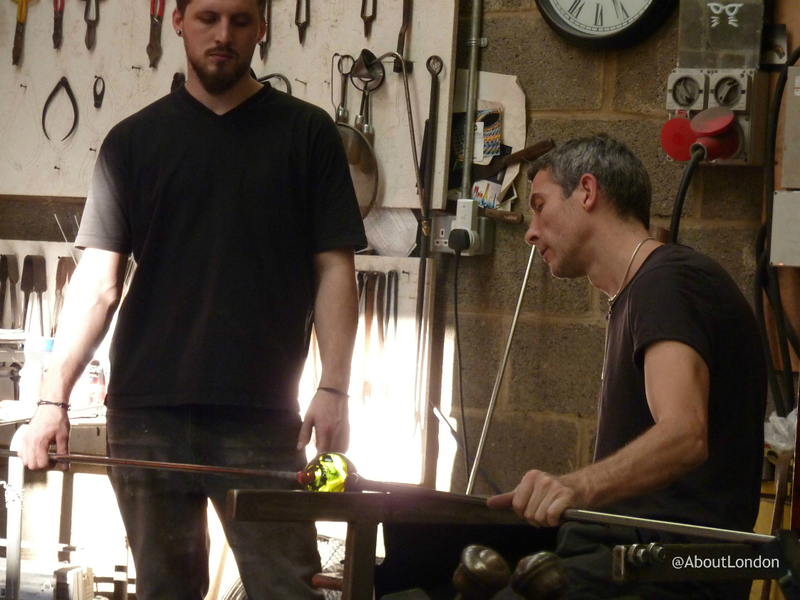 Close to the London Bridge Hotel, on Bermondsey Street, is London Glassblowing where you can buy beautiful artisan glassware and can see things being created in the workshop at the back of the shop. But instead of watching how about taking a glassblowing class? On 17 and 23 January 2016 there are full day classes available where you can learn the basic techniques from qualified glass artists. The emphasis of the day is to provide an enjoyable and productive hands-on experience. The cost is £450, and includes a light lunch at a Bermondsey Street restaurant, all tuition and materials and the finishing of your pieces. Or you could go across the road to the Fashion & Textile Museum as there’s the Liberty in Fashion exhibition which ends next month. While tickets have sold out to see David Tennant in Richard II at the Barbican Theatre (7 – 22 January 2016), there is Expiry Date on from 19 to 23 January 2016. Swedish-born artist Anna Nilsson has devised a set where a ball bearing spins around weird and wonderful machinery and pendulums wave. It provides a backdrop for an abstract tale about time running out, characterised by four performers and their mix of wordless acting, juggling, singing and an incredible hand-balancing act. 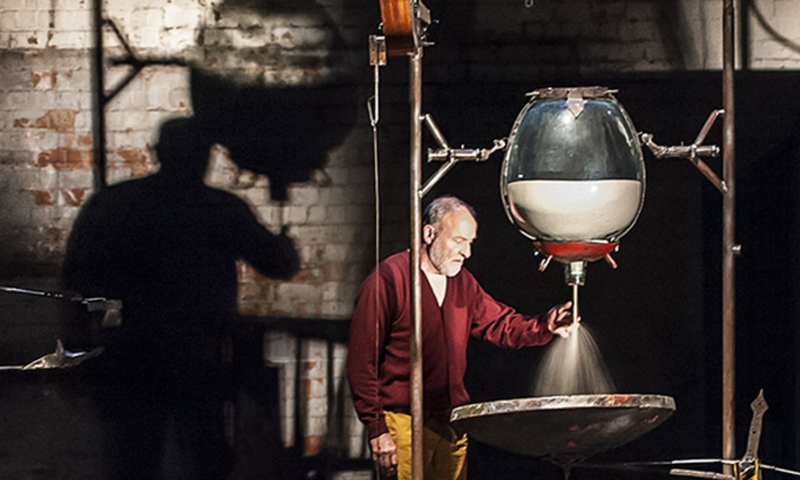 London’s annual celebration of contemporary visual theatre is the London International Mime Festival on Saturday 9 January to Saturday 6 February 2016. Venues include Barbican, Southbank Centre and Tate Modern where performances include cutting edge circus-theatre, animation and puppetry, mask, physical and object theatre. 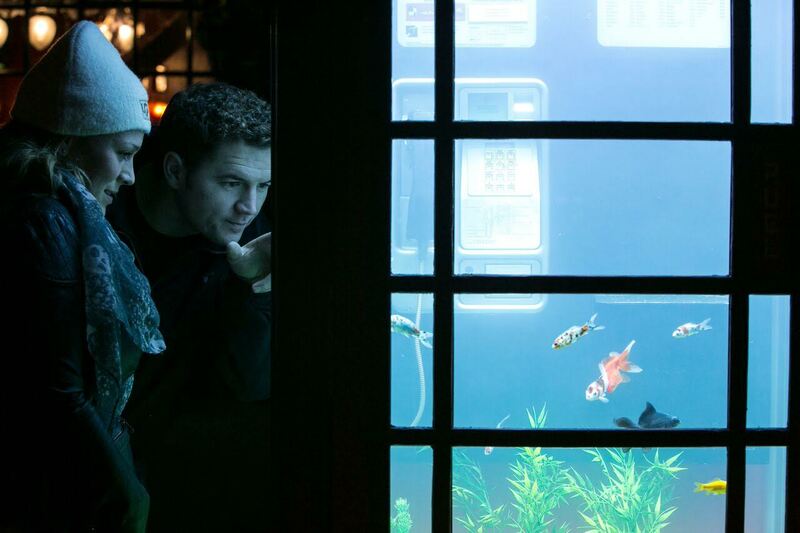 There is some excellent comedy also at Southbank Centre this month. 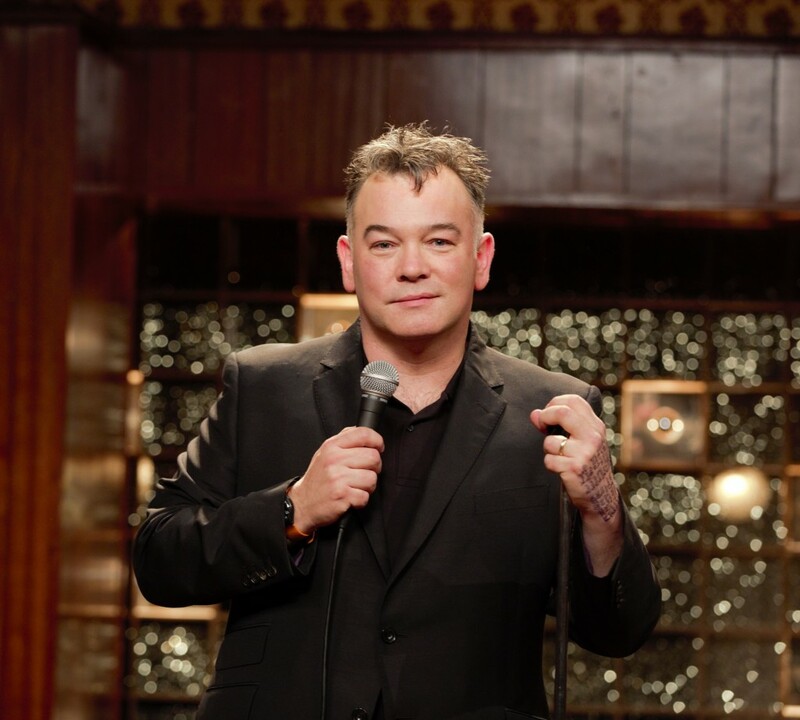 Stewart Lee – A Room With A Stew – Marathon Nights is in the Royal Festival Hall from Saturday 9 to Monday 11 January 2016. It’s your opportunity to see the whole of Stewart Lee’s new BBC2 TV series live, weeks before it is televised. And on Thursday 21 January, also in the Royal Festival Hall, you can see Dave Gorman – Gets Straight To The Point. The innovative comedy mind behind Modern Life Is Goodish, Are You Dave Gorman? and Googlewhack Adventure presents his new live show featuring more of his pioneering blend of stand-up comedy and visual storytelling. Yes, there will be a PowerPoint presentation but audiences won’t need to worry about taking notes. Book Slam is London’s leading literary nightclub and it has an unrivalled reputation for hosting varied bills of the most exciting literary and musical voices around. On 29 January 2016, the National Maritime Museum has a Samuel Pepys Book Slam special where the author and journalist Will Self will read a specially commissioned piece in the spirit of Pepys. 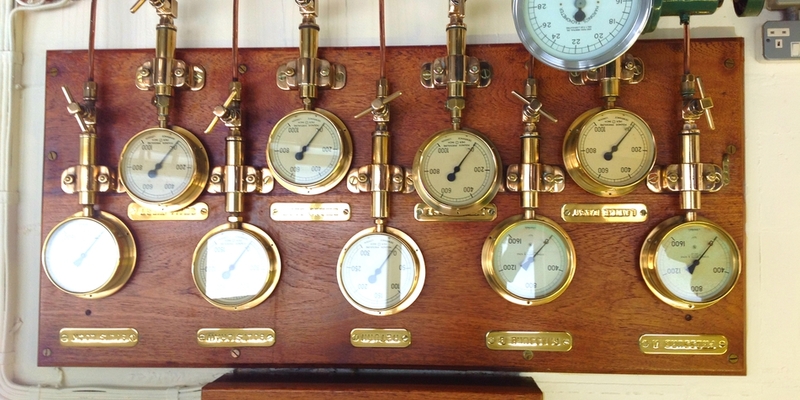 On weekend days, until the end of March 2016, you can take an Engineering Tour of Tower Bridge. This means you get to go behind-the-scenes at one of the world’s most famous bridges. You get to go inside the Bridge Control Room and into the enormous Bascule Chambers below The Thames. Tours are £50 and you must book in advance. You could also take another unusual tour on Sundays in January as the Tower of London has Twilight Tours on offer. Tours are led by a Yeoman Warder who won’t hold back on the spooky stories. 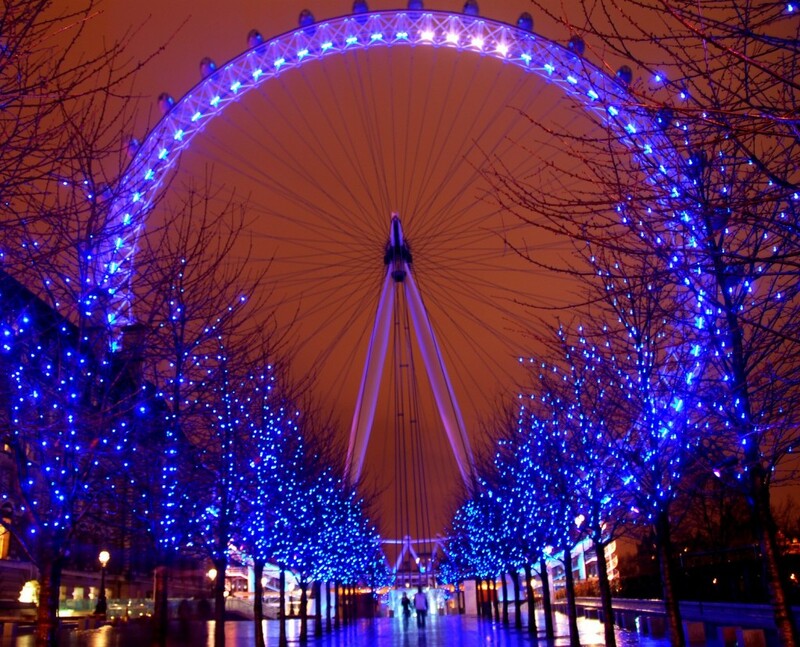 If you’re planning a winter trip on the London Eye do note January is when they have the annual maintenance closure. The dates for 2016 are 11 to 22 January (inclusive). It’s worth going to the Guildhall Art Gallery this month as the Heritage Gallery has on show a rarely displayed deed for a property in Blackfriars which Shakespeare purchased in 1613 – one of only six surviving documents to carry his signature. This will be displayed alongside Shakespeare’s First Folio. 2016 is 400 years since Shakespeare’s death and there is a year of Shakespeare 400 celebrations planned. You can see the documents in the Heritage Gallery from 9 January until 31 March 2016. If you would like even more ideas for this month have a look at the Things to Do in London in January 2016 from Kensington House Hotel, our sister hotel. Next month brings Chinese New Year celebrations in London on Sunday 8 February and Valentine’s Day romantic fun on Sunday 14 February. Tate Modern has Performing for the Camera opening on 18 February looking at how photography captures performance. Over at Somerset House, The Courtauld Gallery has Botticelli and Treasures from the Hamilton Collection also opening on 18 February. The first production of 2016 at The Rose Playhouse will be ‘Hamlet‘ by William Shakespeare on from 2 to 26 February.